Reflexion Email Encryption Service – Quality Computer Services, Inc.
Quality Computer Services, Inc. uses Reflexion Email Encryption Service to help Pittsburgh businesses encrypt their emails. With an increase in regulatory pressures, identity theft, and highly publicized security breaches in the media, companies that neglect to encrypt emails containing sensitive information are at risk of regulatory fines, lawsuits, negative PR and a loss of company intellectual property. To implement this critical business process, Quality Computer Services, Inc. uses Reflexion Email Encryption Service (RTCEncrypt). This allows our clients in the Pittsburgh region to communicate, seamlessly and securely—inbox to inbox—with no sender/recipient authentication necessary. There is no end-user change in behavior and no software to install or configure. 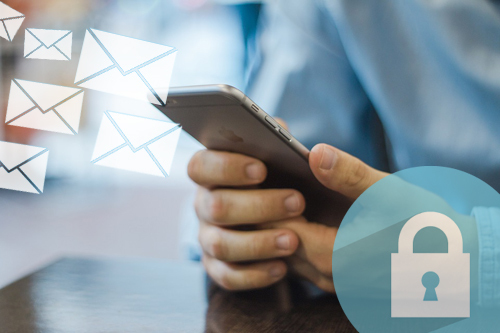 This cost-effective email encryption solution ensures privacy, allows you to meet regulatory compliance requirements and gives you peace of mind knowing you’re protecting your business and customers. Simply add a predetermined encryption phrase to the subject of the email. For example, any messages with “Secure” in the subject line will be encrypted. Administrators can configure encryption policies to automatically detect the presence of personally identifiable information such as social security numbers. When this information is detected in the body of an email, that message will be encrypted. Outlook users can simply mark a message as confidential in the Options > More Options menu of any email message. They will be directed to a secure message portal to retrieve your email. Setup is simple. There is a one-time account setup. Once an account is created, messages can be read and replied to. Past messages will remain inside the portal as long as they haven’t expired or been deleted. Want to Learn More About Reflexion Email Encryption Service?